With classes, clubs, sports, friends, family, and homework to juggle, you don’t have a ton of free time. That’s why one of our missions at Cash4Books is to save you time and money. 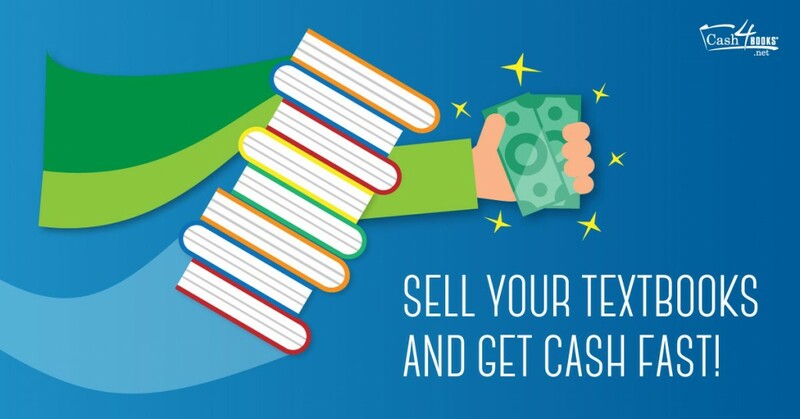 When you sell us your textbooks, we want to make sure you get your cash fast, so we’ve streamlined our book buying process to 3 simple steps! Input the ISBNs of the books you want to sell on our homepage. We’ll give you an instant price quote! Mail us your books for free with our prepaid label. Get your cash! On average, we’ll send it within 12 days of receiving your books. When we receive your textbooks, we want to get you your money as quickly as possible. We’ve worked to streamline our internal processes so we can immediately sort and gauge the condition of your book. When we’ve confirmed the books line up with your order, we send your cash, whether via PayPal or check. Then it’s up to you to find awesome ways to spend that money! Lifehack and Prosper: Here are 6 easy lifehacks to make you extra cash. Spanning everything from filling out surveys, to selling old electronics, there’s a lifehack for everything! Lifehack Guide: 4 Tips That Will Save You Cash: Here are four lifehacks for saving money that you can customize for your personal use. You may have never considered them! 6 Foolproof Ways to Make Extra Money in College: Is your wallet feeling extra light? Make life a little easier with these six ways to make extra money in college. Don’t Be a Hoarder: 5 Ways to Turn Trash Into Cash: Do you find yourself overwhelmed by the amount of stuff you own? Here are 5 amazing ways to turn that trash into cash! Now that you have the secrets to quick cash, get out there and use them!